A Free $10 Credit from Amazon! I spotted a surprise in Amazon’s app store today. They’re giving away a free $10 credit! Of course, they’re paying you in “Amazon money,” but it’s still a $10 value! There’s five free apps at that URL — but for each one that you download, Amazon will add a $2 credit to your account. (The credit comes in the form of “Amazon Coins”, the virtual currency Amazon issues for in-app purchases, which can also be redeemed when buying an app). 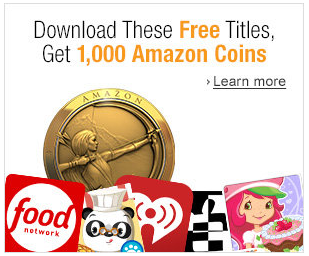 One “Amazon Coin” equals one penny, and if you download all five of these apps, Amazon will give you 1,000 of ’em. But ignore that extra layer of “abstraction” and just focus on the bottom line. If you download the apps, you get a $10 credit. One of the five free apps is actually from the Food Network. It offers thousands of recipes, and lets you search based on a specific ingredient you want to use — or even for your favorite chef! And I was really intrigued by the second free app — which is called iHeartRadio. 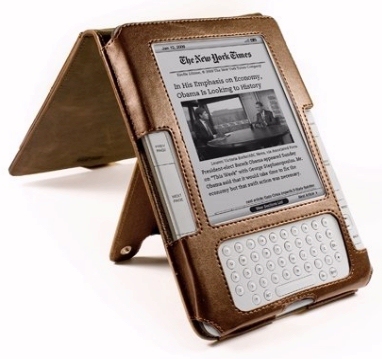 It lets you listen to radio stations live on your Kindle Fire or Android smartphone! But why are they issuing these credits in Amazon coins? The strategy is to make it seem less like you’re spending real money and more like it’s just fun play pretend money. Forcing people to do this conversion in their head — from Amazon money to real money — makes it harder for people to remember their budget! But if you just download these five free apps, you’re already starting out ahead. And you’ll end up with $10 worth of free credits to spend in Amazon’s Android app store!